Working with a fun team wouldn’t feel like work at all! That’s always true in all teams I’ve been with. I stick with the team I enjoy being with and I would jump off from teams that I think is boring regardless of how novel their goals or how big they are. Now, I’m proud to present to you my team at Developers Connect (DevCon) Philippines! 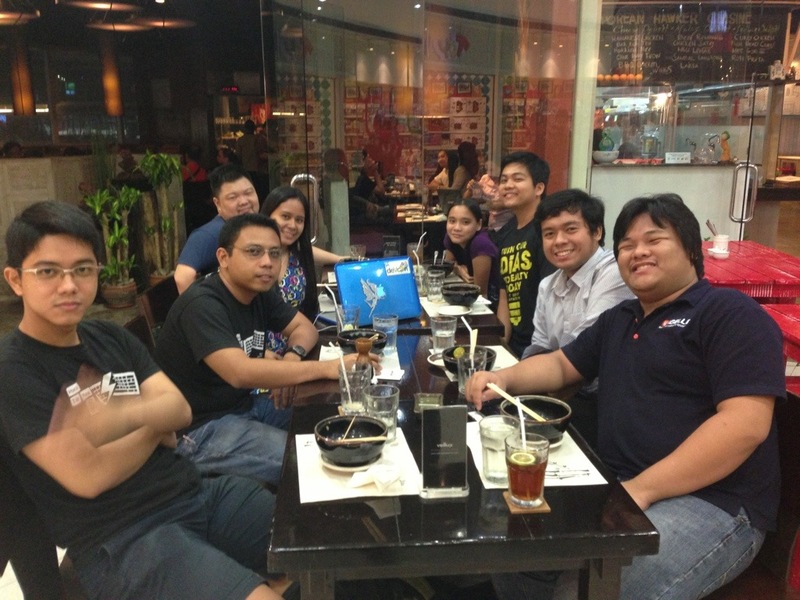 This photo was taken at Yaku, Podium after our 3rd quarter planning. From left to right, that’s Terence (VP-Programs), Bryan (VP-Technology), the adorable me (lol), Alvin(member), Jossie (VP-Finance), Arvin (member), RJ (member), and Nat (member).